Thanks to its full compatibility with both the Nexus Mods website and the Steam Workshop, the PC version of Red Hook’s brutally dark and difficult RPG Darkest Dungeon has proven to be quite a hit with all of the fan-made custom content it has received over the past few months. One of the latest fan-made endeavors to be introduced to the game is a new playable character who should be familiar to longtime RPG fans: Final Fantasy 7’s hand-to-hand brawler Tifa Lockhart. The Tifa Lockhart mod for Darkest Dungeon was created by a modder going by the handle Muscarine. 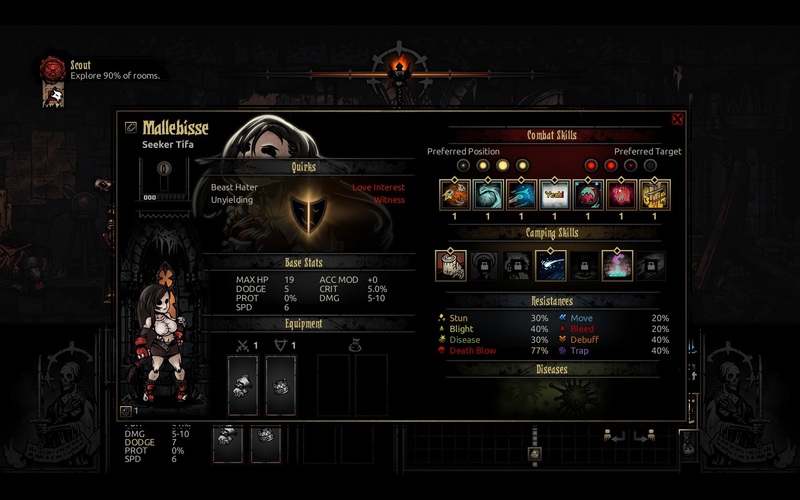 According to Muscarine, Darkest Dungeon’s version of Tifa is a member of the game’s Berserker class, and thus she actually becomes a more powerful fighter as she loses health. In fact, all of Tifa’s special attacks (attacks which feature custom names and animations taken from her FF7 incarnation) actually drain her health to varying degrees with each use. Muscarine warns that, while Tifa can absolutely devastate an enemy party with her attacks, using her special moves too frequently can quickly drain her health and definitely kill her if you’re not careful. Tifa can prove to be an invaluable asset if you encounter a tough foe (or group of foes) while your party is still injured and recovering from their last bout, but it sounds like you’ll also want to bring along a party member with excellent healing skills (or at least invest in a lot of healing potions) if you plan on using her over the long term. The Tifa Lockhart mod for Darkest Dungeon can be downloaded now via both the Steam Workshop and Nexus Mods. If you’re thinking of taking Tifa Lockhart with you into Darkest Dungeon’s Crimson Court DLC, our guide on how to beat all of the DLC add-on’s new bosses should hopefully help.